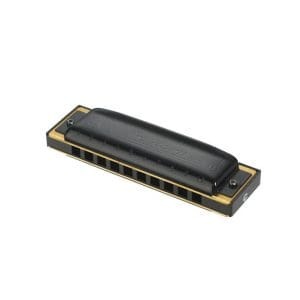 The Folk Blues Mark II, (reminiscent of the Hohner Marine Band), is from the high quality manufacturer, Tombo. 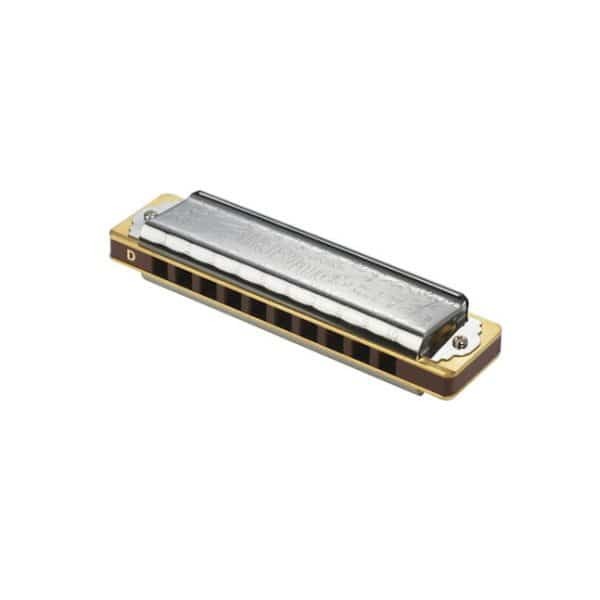 It is narrower than the standard Folk Blues, the reeds are brass on a brass plate, secured by screws on to a comb of Japanese maple and topped with highly engraved stainless steel cover plates. 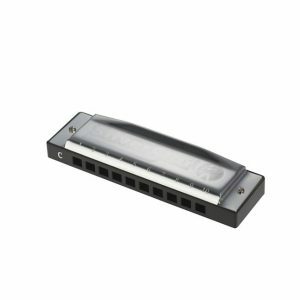 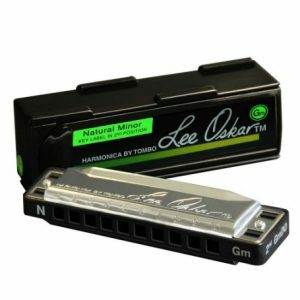 This harmonica produces a warm and bright tone and is great for blues and other styles of music. 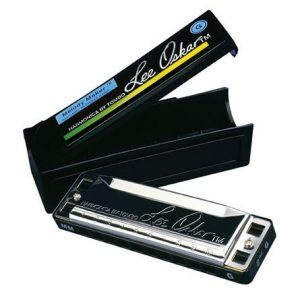 Included is a white plastic case.